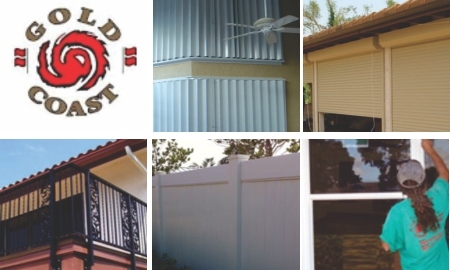 Gates and entry systems can be manufactured and installed by the technicians and engineers at Gold Coast Hurricane Shutters and Fence. Trust us with your gates and entry systems needs. We are the preferred manufacturer for residential builders and commercial contractors in South Florida. We have built a stellar reputation for customer service with our 20+ years of experience. Gates and entry systems must be carefully built and installed the first time around. Gold Coast has an outstanding track record in gates and entry systems. Our workers are highly skilled and each piece of the job is manufactured and installed directly by us! Call us today for a FREE estimate. Gate and entry system manufacture and installation can be expedited if you wish; we offer expedited service to facilitate our clients. We look forward to providing your fencing needs for many years to come and we stand behind everything we do. Fence contractors and fence companies serving Broward, Palm Beach and Miami-Dade Counties all prefer Gold Coast fencing products, and you will too! Contact us for FREE Advice, FREE Consultation, FREE Estimates. We have the meaningful experience and the skills; our workers undergo advanced training and testing before being sent out to clients. We assure you of only the best in every way. As South Florida's leading supplier of both residential and commercial gate and entry systems, Gold Coast guarantees all of its work. We have a wide range of clients and always do our best to try to please every one of them. No job is too big or too small for us to handle. Whatever your choice of style, be it traditional, art deco, contemporary, subtle, flashy, regal and elegant, or avante garde and whimsical, we can customize your gates and entry systems to your specific needs. Our engineers are experts and making the safest, sturdiest, and most efficient systems. You can trust the experience and quality of Gold Coast!